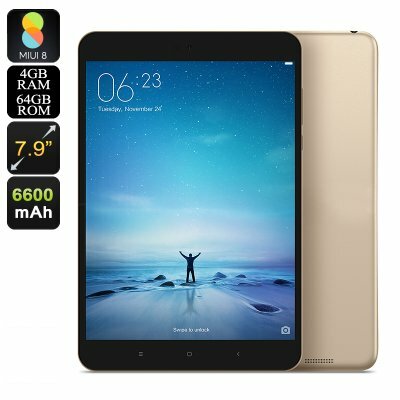 Successfully Added Xiaomi MiPad 3 Tablet PC - Android 7.0, 4GB RAM, 7.9 Inch Display, 6600mAh, 13MP Camera, Dual-Band WiFi, OTG, Google Play to your Shopping Cart. 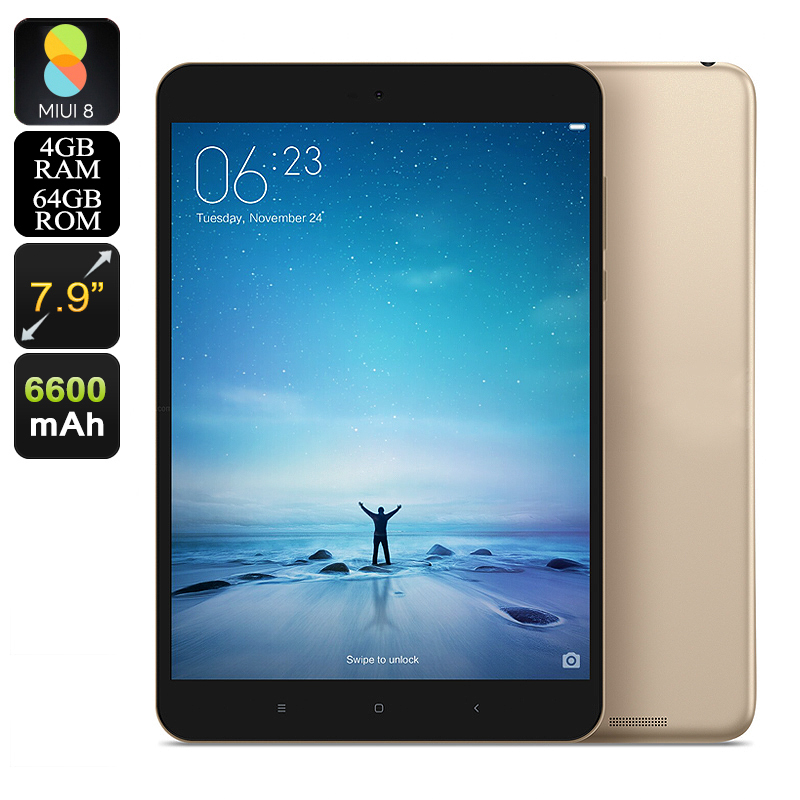 The Xiaomi MiPad 3 is a great Android tablet PC that suits the likings of anybody that is looking for great productivity on the go. Perfect for entertainment and business alike, this stylish tablet computer is guaranteed to meet all your demands. Whether you like to enjoy the latest mobile entertainment, send e-mails, or make notes – there is nothing this Android tablet PC can’t do. With its MIUI 8 launcher that works on an Android 7.0 Operating System, this tablet computer spoils you with the latest features and software the mobile industry has to offer. No matter for what purpose you use this tablet PC, you’ll always be treated with a smooth and lag-free experience. On its eye-catching 7.9-Inch display, the Xiaomi MiPad 3 brings forth absolutely stunning visuals. Watching movies and playing games on the go has never been so satisfying as, with its 2048x1536 resolution, you’ll be treated with breathtaking graphics. Simply head out to the Play Store where you’ll be able to download the latest games, movies, and Applications for free. Supporting Dual-Band WiFi, you’ll be able to download any file in the blink of an eye. With 64GB of storage at your disposal, you’ll never have to worry about running out of space for your latest downloads. From now on, you’ll always stay entertained while on the move and won’t have to experience a moment of boredom ever again. This powerful Android tablet PC features some sophisticated hardware thanks to which you’ll be able to take the absolute most out of all its features. A MediaTek 8176 CPU is in place that provides you with all the power needed to enjoy the latest software features. Additionally, there is 4GB of RAM that supports a powerful experience and simultaneously lets you enjoy heavy multitasking sessions without slowing down your device. Thanks to its 6600mAh battery, you’ll be able to enjoy all this tablet computer has to offer for up to 12 hours in a row. This Android Tablet PC comes with a 12 months warranty, brought to you by the leader in electronic devices as well as wholesale electronic gadgets..